Here is a quote by Rupert Spira beautifully reflecting my own definition of art and the artist. The role of the artist is to transmit to humanity the deepest experience of reality. Art is remembrance. It is love. It is like a sword that distinguishes between appearances and reality, or a cradle that reminds us of home. United in solidarity. Three fundamentally different conceived works merge, with this deeply humanistic principle, into one visual work of art, centered solely around the destructive power of the steel industry – a symbol of capitalism which relentlessly devours its own children. The collective exhibition “Il était une fois le fer, il ya encore les hommes “, which was first shown to the public in September last year as part of the “Festa de l’Unità” and that will be shown again from June 20 in the gallery of the theater of Esch, is a synonym for the collapse of industrial utopia, combining the nostalgic monumental recordings of local industrial wasteland of the artists Remo Raffaelli and Jean-Claude Berens, both living and working in Esch, the dunning outcrying portraits from the collective “RF36” based in the region of Florange and the startling snapshots of the Italian journalist and writer Luciano Manna, whose focus is on the disastrous consequences of short-sighted industrial policy, lack of environmental protection and corruption in the southern Italian port and industrial city of Taranto. I am happy to announce that the Luxembourgian architecture magazine “Echo” has published a feature of one page dedicated to the work of Remo Raffaelli and me. This article has been published in relation to our last exhibition in H2O in Differdange. First, I’d like to thank the Photo Club Esch for the invitation to give a lecture. It was easy and wonderful for me to show the presentation to the very sympathetic and enthusiastic members of the club, because the atmosphere was welcoming and warm, and the dialogue happened naturally. This was definitively not the last time I had the pleasure to share some good moments together with all these nice people. 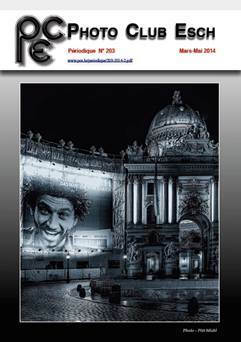 The PCE was founded in 1919 and is now organizing its 50th Salon Mondial de d’Art Photographique. The exhibition of this annual contest will be held in June. I look forward to this 50 anniversary edition this year. Amongst all the other activities, the club releases its own printed magazine 6 times a year with a bunch on practical information, latest pictures of its members and other information about ongoing activities, lectures and exhibitions. I am very thankful for the respect granted to my work in the latest edition. You may download the article by clicking on the cover picture. I am proud to announce that I have been invited to hold a lecture about expressive language in modern photography at the Photo Club Esch. 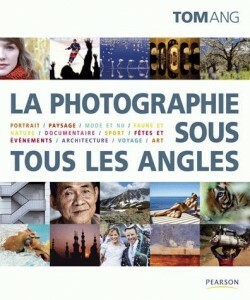 I recently noticed that the book “The Complete Photographer” from Tom Ang is now available in multiple languages. I am featured in the architecture part with an interview. The book is available in the following languages for online order. Please click on cover image to order the book. 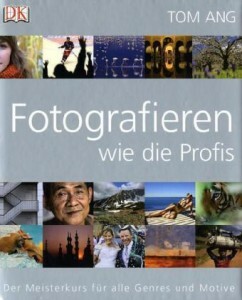 Master 10 genres of photography, with 20 top international photographers. 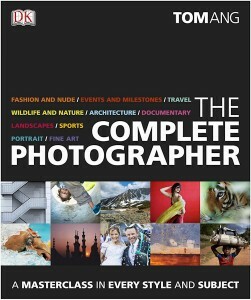 Completely unique in its broad appeal, scope, and stunning photography; this will appeal to anyone interested in photography, whether beginner or advanced. Behind-the-scenes features introduce the work of 20 top international photographers, showing in step-by-step detail how an idea progresses from concept stage to final image.Based around tutorials on 10 different genres, covering both technical and creative aspects of photography, Tom Ang takes you through assignments, image analysis, and critiques to work on and follow. The exhibition at H2O is almost over and I would like to thank the College of Mayor and Aldermen, the Cultural Commission of the town of Differdange, the workers that helped to prepare the exhibition, the kind staff that the reception desk, Remo Raffaelli and all the visitors that came from the Greater Region of Luxembourg for making this wonderful experience happen. It was a great opportunity to show extra large prints as this prestigious exhibition hall offers the space (more that 400 m2). I hope that every visitor enjoyed as much the exhibition as I have appreciated the location. Thanks for making this happen and thanks for coming. For those of you that have not yet been at the exhibition and would like to see it, there is still a week to go including the next weekend (08/02 and 09/02). During this month a slide show of pictures was projected in loop. I have seen a lot of people enjoying the show and the feedback was very positive. For those people that couldn’t pay me a visit, I have posted the slideshow here. Tempus Fugit from Jean-Claude Berens on Vimeo. The Exhibition will be open every day between 15h00 and 19h00, from January 10th to February 9th 2014. A shuttle bus will be available for the vernissage to bring the guests from the parking in the Duchscher Street (next to the cemetery of Oberkorn) to the Espace H2O, and back. It has been a bit quiet for some time and there are a lot of new pictures that need to be uploaded. Meanwhile I wait a little bit before uploading new content as I want it to ripe. In time I can see if some pictures are worth being shown here or not. I cannot publish too much because my galleries would be overloaded and as I try to put high resolution pictures, browsing would become painful to the visitors. I have two wonderful announcements for this post. A feature will be published in the winter edition of the German magazine “Glanzvoll“. The magazine will appear for the 28th of November. I have not yet seen the layout but I know the text and I look forward to see the article published with some pictures. It tells a lot about myself and I’d recommend it to all my friends and readers. The magazine should be available in every good bookstall in Luxembourg and Germany. The second announcement is about my next exhibition. 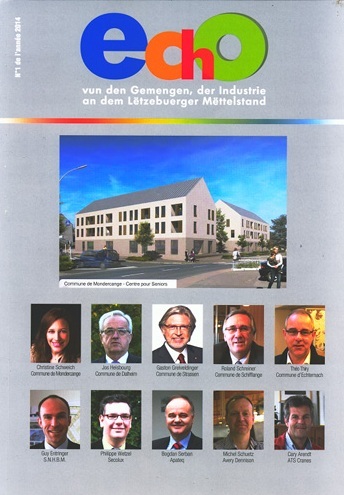 The exhibition will be held in the prestigious H2O exhibition hall in Oberkorn (Differdange) for a period of one month. 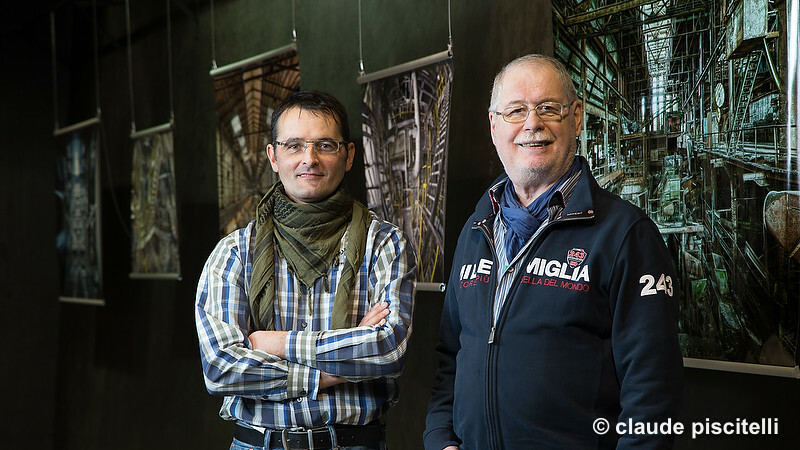 It is a common exhibition with the Luxemburgish artist and photographer Remo Raffaelli. It is not the first exhibition I organize with this great artist and it is with great pleasure to organize this new exhibition with him again. We will divide this huge exhibition hall (470 m2) into two parts. One part is dedicated to Remo’s black and white industrial photography, and the second part is dedicated to my color decay photography. In between the two exhibition halls we will share a projection screen to present a slide show of our industrial photography. As we have a lot of space we will show very large format pictures. This is a wonderful opportunity to make this exhibition something very special and we will try to do our best to make it a lasting experience for the visitor. The vernissage will be held on Thursday, 9th January 2014, and the whole exhibition will last one month until 9th February 2014. 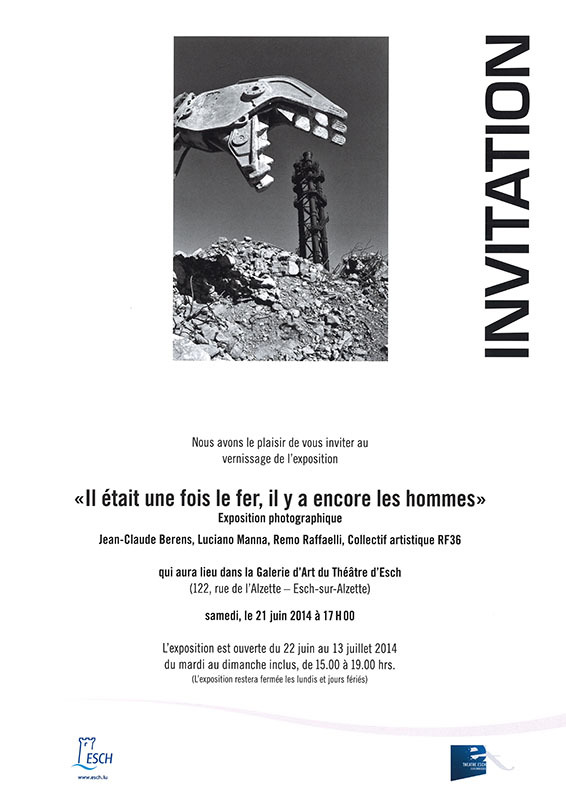 I hope to meet you at the vernissage to have a nice chat and a drink together.